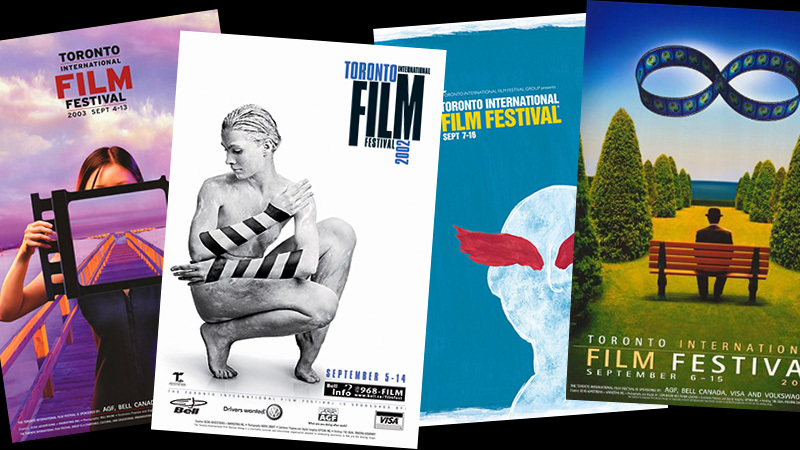 (August 31, 2018 – Toroonto, ON) How good do you have to be “for openers” at the Toronto International Film Festival? More than any year in recent memory, the 2018 edition of TIFF has highly anticipated Canadian films – including new works by Patricia Rozema, Denys Arcand, Don McKellar and Xavier Dolan. Add to that buzzworthy films like The Grizzlies, Miranda de Pencier’s reality-based film about an aboriginal lacrosse team, Keith Behrman’s Giant Little Ones, the domestic drama shot in Sault Ste. Marie with Maria Bello and Kyle MacLachlan, and Anthropocene, the latest eco-clarion call from the doc team of Jennifer Baichwal and Edward Burtynsky (Manufactured Landscapes, Watermark). Heck, one of them – Rozema’s Mouthpiece is even screening on TIFF’s opening night, as the kickoff to the Special Presentations series. But the opening night gala? The big event where, for decades, TIFF made a statement that it wasn’t just about Hollywood by programming a Canadian film? That’s going to Outlaw King, in which L.A.-born Chris Pine (yes, Capt. 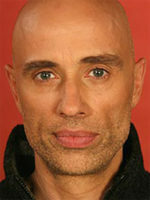 Kirk) plays Robert the Bruce. Somehow, I don’t have a good feeling about this one. It’s been six years since the decision was made publicly that Opening Day was no longer Canada Day, with the announcement of Rian Johnson’s sci-fi film Looper as the kickoff. Technically, the No Canada rule went into effect the year before, with the 2011 U2 concert movie From The Sky Down. But at that point, they weren’t willing to say it out loud. 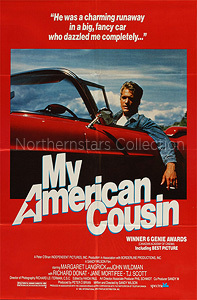 This poster for My American Cousin was scanned from an original in the Northernstars Collection. He hinted that Canadian openers were less likely to find distributors because the industry wasn’t here yet on Day 1. And thus ended a tradition that, in its time, encompassed virtually every great Canadian movie made over the course of two decades. 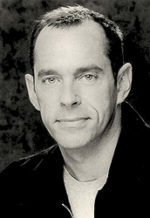 They include My American Cousin; Arcand’s The Decline of the American Empire and The Barbarian Invasions; Rozema’s I’ve Heard The Mermaids Singing; David Cronenberg’s Dead Ringers and M. Butterfly; Jeremy Podeswa’s Fugitive Pieces; Deepa Mehta’s Fire and Water; Atom Egoyan’s The Sweet Hereafter, Felicia’s Journey and Ararat; The Red Violin and Robert Lepage’s Confessional. It’s not that Canadian movies were always the best on offer. Stardom (2000) may have been Arcand’s worst movie. Most critics and viewers agreed that Paul Gross’s 2008 Passchendaele was a weak, soap opera-ish take on a historic WWI battle that was both horrible and formative in our evolution as a nation. And 2010’s much-mocked Score: A Hockey Musical was the opening night film that effectively put a stake in the heart of a long-standing TIFF tradition. All of which would be easier to take if the movies that replaced ours on the opening night marquee were a cut above. But in almost every case, you could find a Canadian movie debuting that year against which the opener paled. Creation, the Darwin biopic with Paul Bettany was dull and disappeared quickly as if by natural selection. The U2 concert doc was certainly no Rattle & Hum. The Fifth Estate, in which Benedict Cumberbatch dyed his hair white and danced to play Julian Assange, was one of the few missteps in that actor’s career. The Judge, with Robert Downey Jr. and Robert Duvall, drowned in a sea of mediocre reviews and public disinterest. The Magnificent Seven was a decent enough remake by Antoine Fuqua (and starring his lead of choice, Denzel Washington) of the 1960 classic (itself a remake of Kurosawa’s 1954 original). But Denzel’s star power wasn’t enough to make it a hit. And last year’s Borg McEnroe was, of all things, a cold, Swedish take on one of the most hotly contested tennis matches of all time. About 12 people eventually paid to see it on its art-house release months later. (It was one of two TIFF tennis movies last year. Battle of the Sexes, with Emma Stone and Steve Carell, would have been a much more entertaining choice). I don’t buy the “press and industry aren’t here yet” argument for shunning a Canadian opener. I know many colleagues who get to Toronto on Tuesday or Wednesday just to get a head start on pre-festival screenings before the crowds arrive. 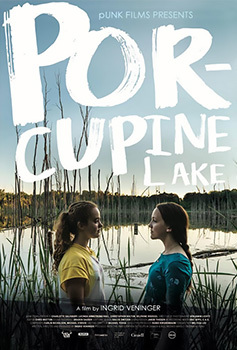 Poster for Porcupine Lake courtesy of Films We Like. Baichwal and Burtynsky, the globally-influential work of the late marine activist Rob Stewart (Sharkwater). Even Oscar-bait films like The Shape of Water, Brooklyn and Room could arguably have had an opening spot, by dint of Canadian co-production or the fact that Canadians did all the heavy lifting (Guillermo del Toro did Toronto a major solid from the Oscar podium, the kind of shout-out that an opening night slot no longer provides). Amid declining audiences, trimmed down line-ups and a local press that feels increasingly marginalized during the annual Hollywood invasion, giving night one back to Canada just might be the ticket to TIFF reasserting its roots. It was started by Canadians, nurtured by Canadians, funded by Canadian box office. And it should wear its maple leaf proudly from night one.